Among the large community of wildflowers growing in the Headwaters, there are some true aristocrats. Some so sublime they eclipse the ordinary beauty of other flowers. 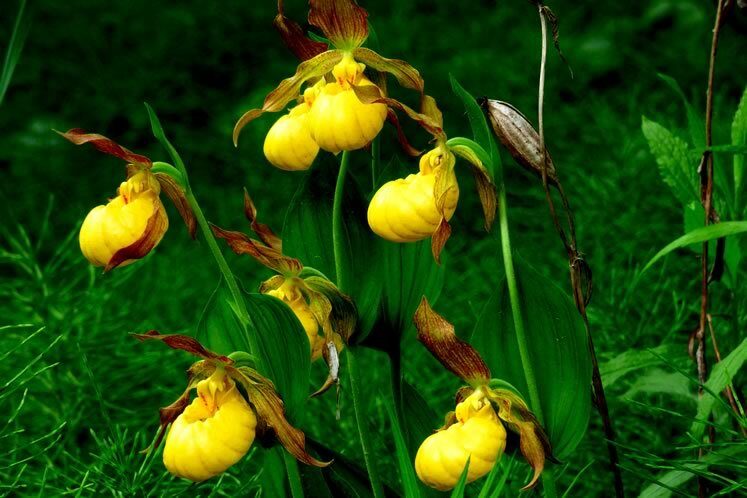 Yellow lady’s slipper orchids, for example. These botanical wonders sport whimsical – you guessed it – slipper-shaped blossoms. And they are in full glory right now. 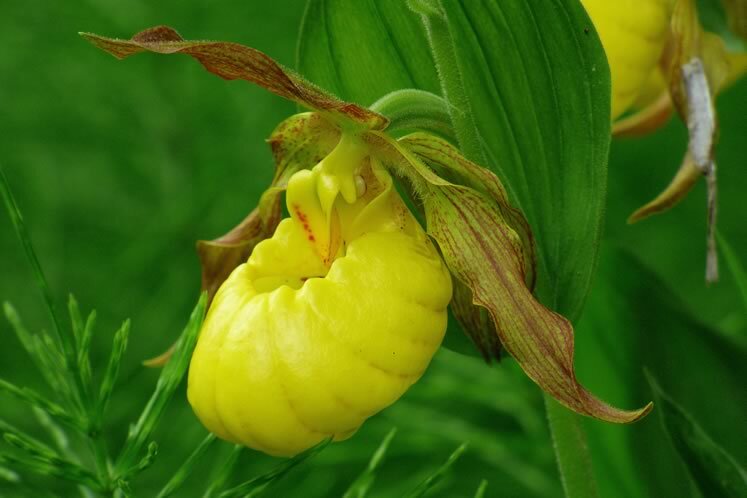 Yellow lady’s slippers are not as numerous as trilliums or hepatica. Just rare enough that discovering one is a delightful surprise. 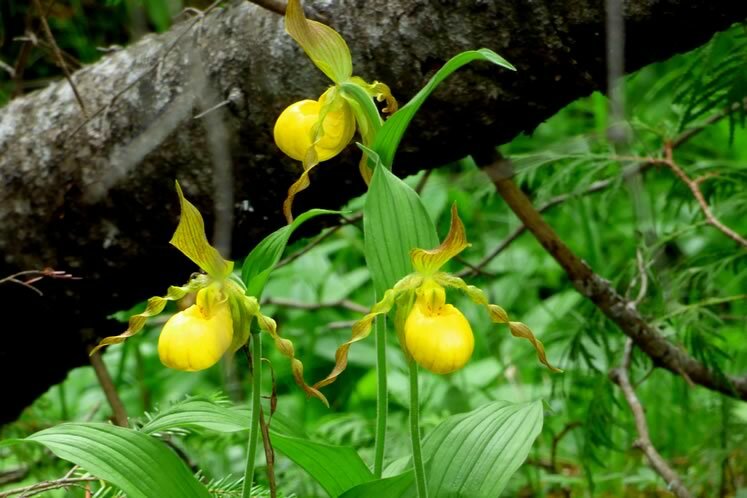 There are, though, a few places in our hills where numbers of yellow lady’s slippers can be seen along roads. 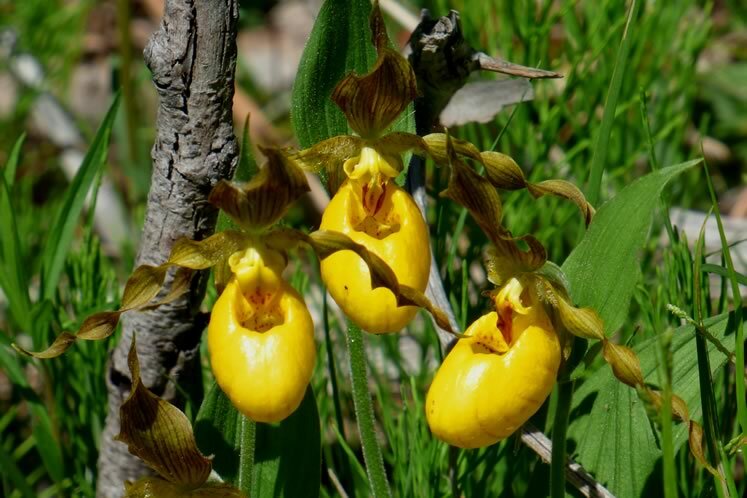 To the north, on the Bruce Peninsula, these roadside displays are common – in fact, so many yellow lady’s slippers can grow along Bruce byways that from a speeding car they might be mistaken for dandelions. 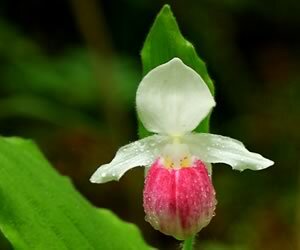 But south of the Bruce, roadside lady’s slippers are rare. The lure of these flowers encourages vice. Some people simply must possess them. But plant poachers need to understand their folly. Orchids have very specific growing conditions. They depend on a complex elixir of soil, pH, moisture and – importantly – associations with soil-born fungi that help them obtain nutrients. Lady slipper seedlings, in particular, need to quickly establish a relationship with these fungi. This is no small matter. 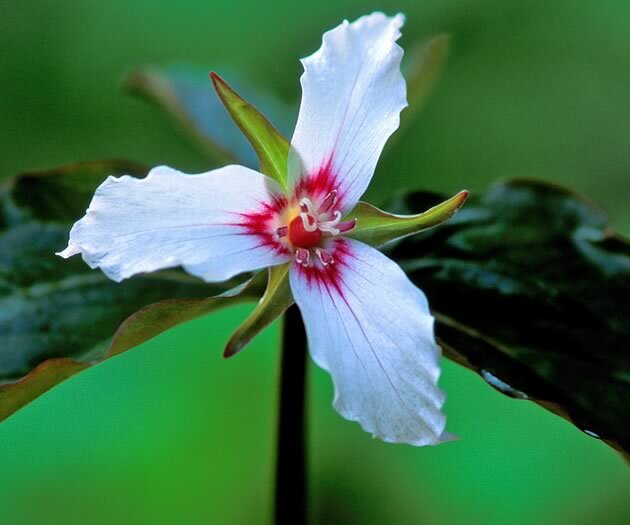 The fungi serve a surrogate parent role for the seedling lady’s slippers. 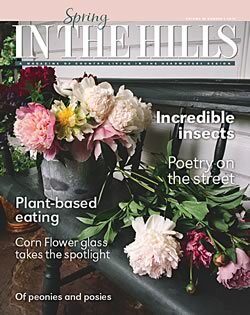 Without this “parenting” the young orchids can’t survive. The fungi feed them, and no doubt the orchids give back to the fungi in some way. This remarkable interdependency of unrelated organisms reminds me that no living thing, including us, is insular. Lives are entwined with other lives – fibres in a biotic cloth. 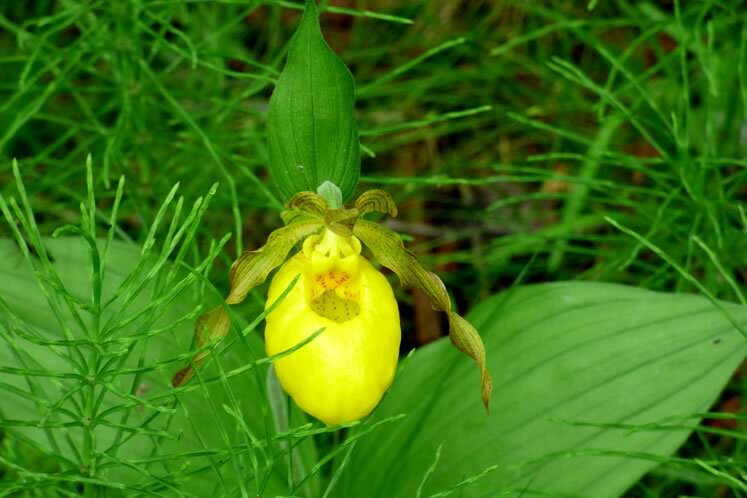 There are a few places in our hills where yellow lady’s slippers can be seen along roads. 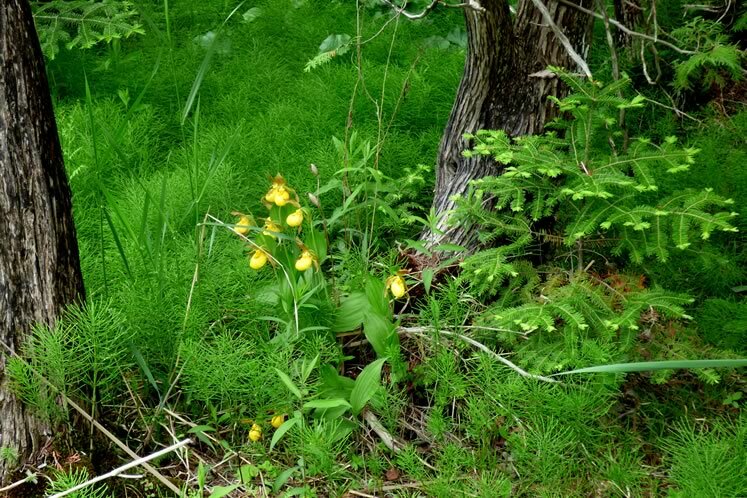 Mysterious and lovely, yellow lady’s slippers thrive in ferny, mossy woods. Imaginative souls could cast them as companions of woodland sprites and fairies. For me they define wildness and fragility. 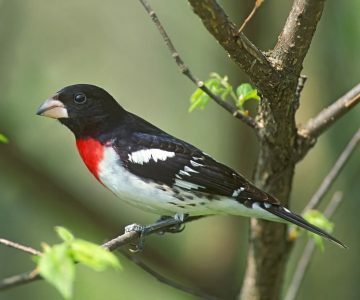 They signal special habitats filled with other precious life deserving of our protection. With its glorious pink and white blossoms and thumb-sized pouches, this orchid is perhaps the most exquisite of all our wildflowers. 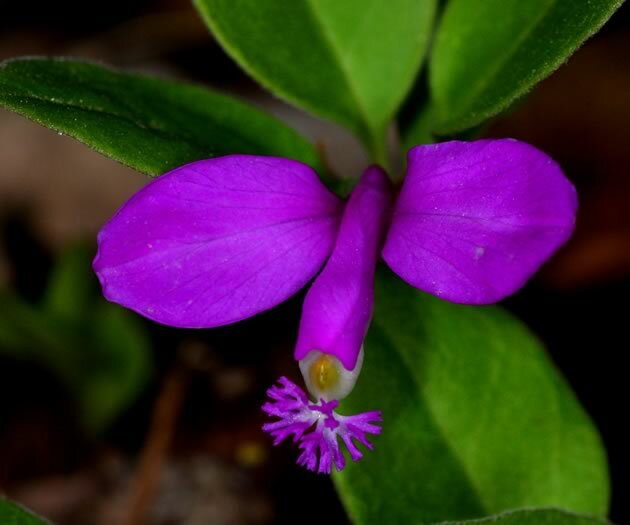 The heart-gladdening beauty of early wildflowers is a signal all is right in the woodland. Which one is your favourite?